Flash drives were the center of a discovery dispute in a trade secret dispute between high-speed printer service providers. OcÉ N. Am. v. McS Servs., 2011 U.S. Dist. LEXIS 5403 (D. Md. Jan. 20, 2011). The Plaintiff sought a forensic image of the flash drives, because the devices contained their software alleged used by the Defendants. OcÉ N. Am., at *3. Discovery was expedited in advance of a preliminary injunction hearing. Pursuant to Court Order, the Defendants allowed the Plaintiff’s expert to image 21 laptop computers at issue in the dispute over several days. However, on the third day, the Defendants told the Plaintiff’s expert their office was closing and the Plaintiff’s expert was not allowed to image the 15 flash drives. OcÉ N. Am., at *3. The Plaintiff in turned filed a motion to compel before the preliminary injunction hearing, which was denied because, “[a]lthough [the thumb drives are] ultimately discoverable, such discovery is not necessary on an expedited basis to prepare for a preliminary injunction hearing.” OcÉ N. Am., at *4. The parties agreed to a Stipulated Preliminary Injunction that provided for a neutral third-party to take possession of the flash drives and forensically image them. 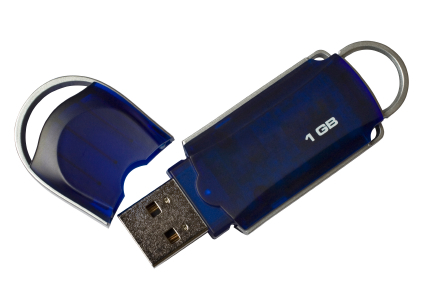 Once imaged, the flash drives were destroyed, leaving only the forensic image of the electronically stored information on the 15 flash drives. OcÉ N. Am., at *4-5. As expected, the Plaintiff wanted access the data from the forensically imaged flash drives. The Defendants opposed on several grounds, including the novel argument that the Plaintiff never requested the forensically imaged information, just the flash drives in discovery, which now no longer existed. OcÉ N. Am., at *5-6. As a matter of practical concern, therefore, if the original thumb drives were discoverable, Capsicum’s forensic images of the thumb drives must also be discoverable, and Océ need not propound a new discovery request for what amounts to the exact same information. OcÉ N. Am., at *10. The key issue in producing electronically stored information is the information, not necessarily the device containing the information. A party is very hard pressed to create a forensic copy of information that was requested and then claim the information was never requested, because the device that originally contained the information no longer exists.